If you are looking for information on the Cartridge Wiz franchise business opportunity, Cartridge Wiz ink refill franchises or Cartridge Wiz toner cartridge franchising, then you have come to the right place. Why should you consider buying a franchise in the ink and toner industry? There has been an explosive growth of printer use in homes and businesses and everyone is looking for high-quality, low-cost printer supplies and - yes - ink! 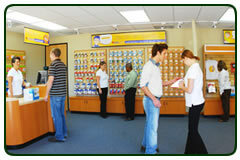 We believe our Cartridge Wiz franchise provides you a fantastic opportunity to be part of this growing market. Why should you choose Cartridge Wiz? Because we have created a better store and a better business model than our competitors to give you the best chance for success! Cartridge Wiz gets its leadership, know-how and manufacturing model from Arista Business Imaging Solutions. 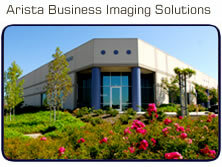 Founded in 1989, Arista is a major supplier of inkjet and laser toner cartridges in the United States. We've seen inconsistent products and services being delivered in the burgeoning retail cartridge market. While successful, we felt that some areas of our competitor's business model could be improved upon. Rather than have our franchisees refill cartridges in messy backrooms, the stores simply sell cartridges manufactured by Arista. In addition to maintaining the consistency of the products at all the stores, the retail space can be smaller which saves our franchisees money and the franchisees do not have to keep up with the constantly changing cartridge technology. This way they can concentrate on their best opportunity for retail success. And that is ... selling! We feel that's what successful retailing is all about and so we teach our stores how to sell 1,000's of printer-related products to the business-to-business market - most of which you don't even have to carry in the store. Cartridge Wiz also teaches our stores how to profitably sell "printer repair services" without doing any work themselves, by accessing our national network of service providers. We're looking for highly motivated individuals who want to become a single unit franchisee or a Master Franchisee. Becoming a Master Franchisee is by far your greatest opportunity. The main job of a master franchisee will be to act as a business consultant to your franchisees and help them succeed in their own businesses.